There have been a few people asking on Twitter how to do this, so thought I’d try my hand at a tutorial blog, albeit brief, to see if it helps. In Premiere Pro CS6, running on Windows 7, keyboard shortcut data is saved here as .kys files – C:\Users\YourUserName\AppData\Roaming\Adobe\Premiere Pro\6.0. This KYS file is created when you save and name a new set of keyboard shortcuts from the Keyboard Shortcuts editor window. 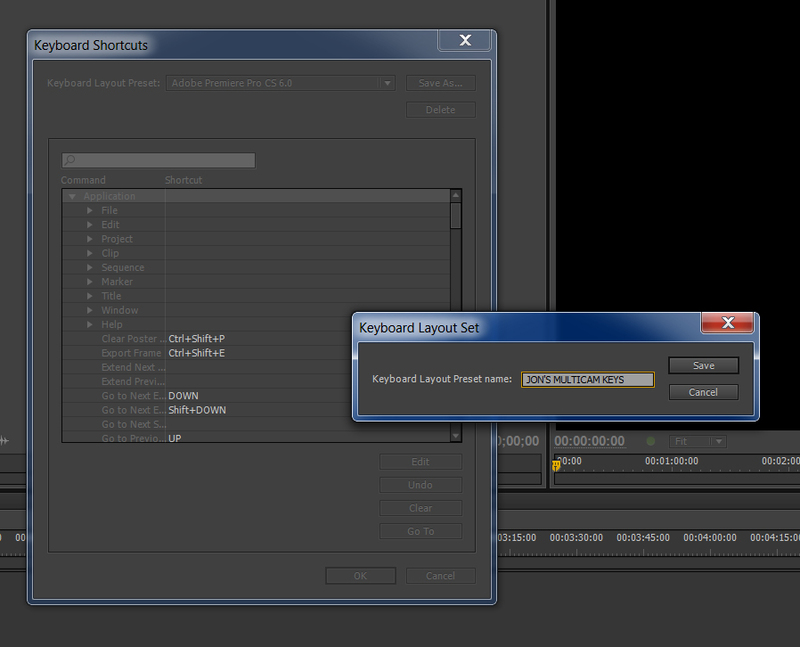 … and also now appears as a choice within the drop down Keyboard Layout Presets within CS6. 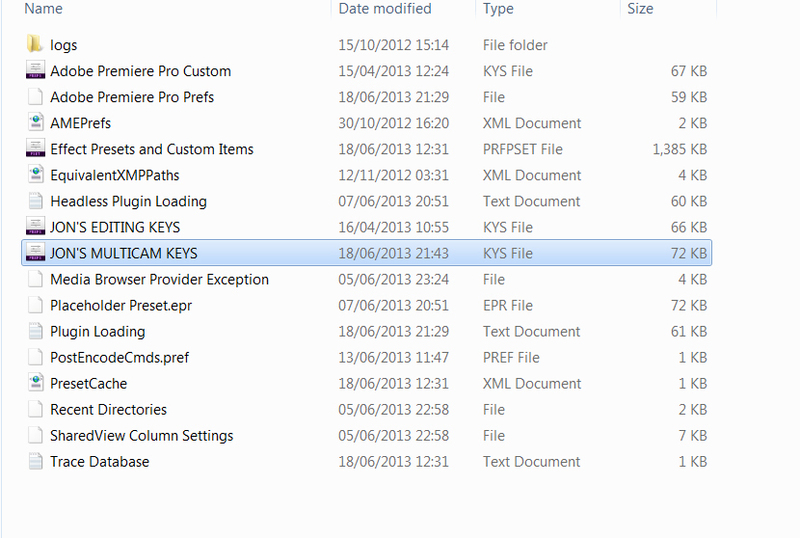 In Premiere Pro CC, the location of the KYS files is slightly different. They are now located at C:\Users\YourUserName\Documents\Adobe\Premiere Pro\7.0\Profile-CreativeCloud-\Win. 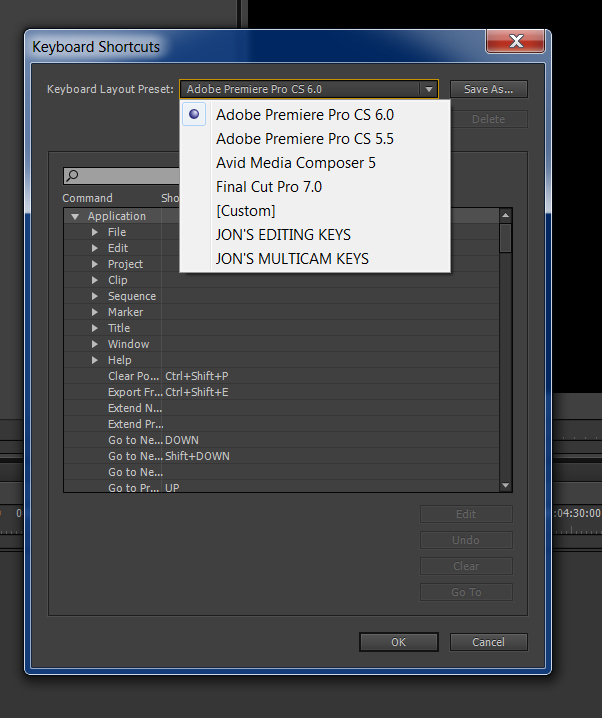 So to transfer your keyboard shortcuts from CS6 to CC, all you need to do is to copy the relevant KYS files from the CS6 location (C:\Users\YourUserName\AppData\Roaming\Adobe\Premiere Pro\6.0) and copy them to this new location for CC. With that done the new keyboard preset should now show up in CC, saving yourself a world of pain of having to rebuild your own shortcut preferences. For Mac users, the file path for your CS6 keyboard presets is here: /Users/YourUserName/Library/Application Support/Adobe/Premiere Pro/6.0. To import the presets into CC, copy and paste your .kys to this new location: /Users/YourUserName/Documents/Adobe/Premiere Pro/7.0/Profile-yourusername/Mac/.